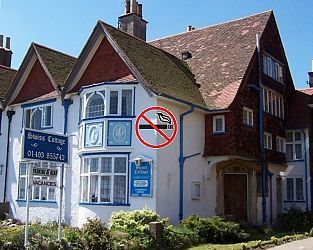 Sea Front, Dunes view, Non Smoking Only Guest House - Now That's a Breath of Fresh Air. North Great Yarmouth location. Free parking,Free WiFi and free fresh air. Visit Great Yarmouth Norfolk and the surrounding villages and stay in bed breakfast, hotel or holiday accommodation accommodation provided by BedPosts members. Great Yarmouth, Norfolk, is on the River Yare on the east coast. It has been a seaside resort for 250 years. Its major industry used to be fishing but this has now virtually gone. Instead the discovery of North Sea oil led to an industry servicing offshore natural gas rigs. Great Yarmouth is a holiday resort with a five-mile promenade and all the fun of the fair. The parish church (restored after war damage) is the largest in England. St George's Theatre and the Fishermen's Hospital date from about 1600; and Nathaniel Carter's House on the south Quay is now a museum. There is so little left of the old town that the Yarmouth scenes in the 1969 film version of David Copperfield had to be shot in Southwold to achieve an authentic atmosphere. If you seek accommodation near Great Yarmouth in Norfolk you have come to the website of a “club” of providers who offer affordable quality accommodation around UK in hotels, bed and breakfasts, guesthouses, inns, and restaurants plus self-catering cottages and apartments .